There’s a bit more interest in Umihara Kawase at the moment, thanks to the presence of a couple of its characters in the rather excellent Blade Strangers. 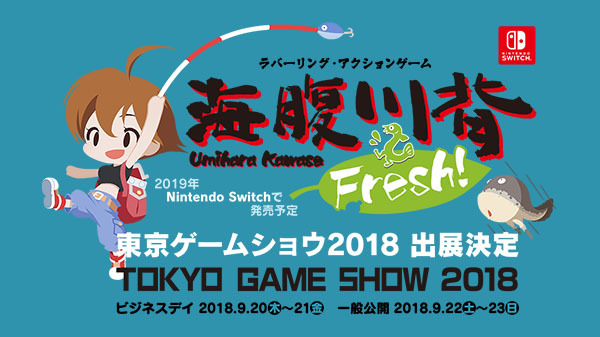 Now, the developer, Success Corporation, has announced a new chapter in the ongoing series, called Umihara Kawase Fresh!, to be released on Nintendo Switch. The release is still a fair way away - it won’t launch until 2019 in Japan, let alone find a publisher for an English localisation, but apparently we’ll get a good first look at it at Tokyo Game Show this year. Since I’ll be there, I’ll try and mosey on along to have a look for you. Have a read of one of our reviews of a previous entry in the series here. And for a short summary of the game, from Success: Umihara Kawase is an action game series where the player controls protagonist Umihara Kawase to reach the end of each level. The game is highlighted by its rubber ring action in which the player uses an elastic rope to progress. NISA’s Lapis Re Abyss gets a new name! NISA’s Lapis Re Abyss will be called Lapis X Labyrinth in the west. It’s a tiny titbit of information, to be sure, but given how promising this game is looking, we’ll take anything that lands in our corner. There’s still no release window for Lapis X Labyrinth, unfortunately, but given the way NISA works, that would likely mean early next year. What we do know about the game is that it’s all about “stacking” characters on top of one another to pull off impressive team-based moves, and it looks absolutely adorable. We’ll probably get more details around Tokyo Game Show, as the next big event on the calendar. In the meantime, there’s a trailer above to whet the appetite. 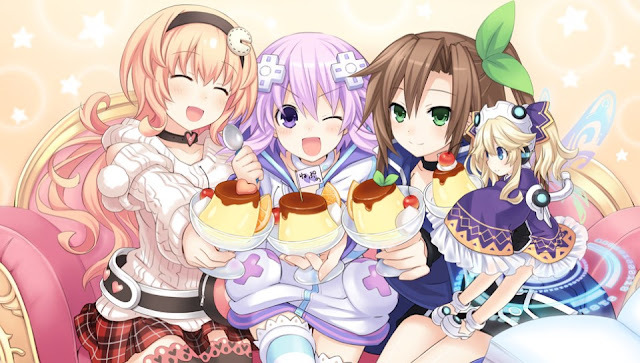 Hyperdimension Neptunia Re;Birth 1 is a remake of the very first title in the series, and gives you an idea of where the oddball but always delightful characters that we've all grown to love came from. And now the Steam version has had some major new DLC added to it. All of this is on a substantial discount (including a whopping 85% off the base game) for the first week, so if it tickles your fancy, now is the time to buy into it. That DLC includes: Tag Along, Colosseum + Characters, AV Club - giving you an in-game movie mode, alternate costumes, and, indeed, all-new characters to play with. This is well worth a look if you've ever wondered where to step into the Hyperdimension Neptunia series. Might as well start at the beginning, right? Multiple seasons are the norm for fighting games now. Because they're endlessly expandable via new characters, costumes and backgrounds, and because people tend to play the same games for many months, even years at a time, it's in the developer's best interest to keep adding stuff to existing games, rather than continually making new ones. And so we have a second season coming up for Tekken 7, which adds more characters (to an already bloated roster), and makes some major revisions to gameplay elements. The trailer, above, gives you a comprehensive look at what to expect. Of course, I'm sitting here waiting for SoulCalibur VI and Dead or Alive 6... but I'm sure I'll give the revamped Tekken another spin too.